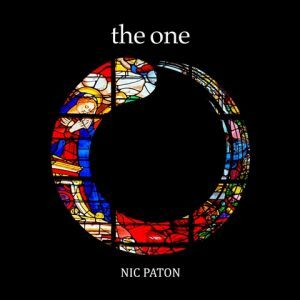 Following the success of 2016’s “Valley Of The Shadow”, composer Nic Paton expands his neo-classical, spiritually themed repertoire with “The One”, a song cycle for strings and voices based on Rumi’s timeless poem “One Song” (translated and used with permission by Coleman Barks; read) . The 12-part work explores the drama of the soul’s heroic journey. From a womb-like primal oneness, it moves through childlike wonder, then on to separation, other-ing, estrangement and apparent annihilation. At this mid-point, however, there appears as though from nothing, a redeeming continuation into fully conscious, wholehearted unity. This then is Rumi’s dream, the Song, where the separations and tragedies which mark our human story, are transcended by the promise and celebration of a universal community that is finally restored and unified. Stylistically, it is part relaxing meditation, part chamber suite, part dramatic musical and part filmic soundscape, all brought together in “The One”. It’s enormously impressive. “The One” is epic in scale but intimate and beautifully made … The generous melodic writing will mean it finds a wide audience. It totally deserves it. It is spiritual music at its best, with interior depth, unity expressed through variation across a meaningful trajectory, complexity, emotion but no sentimentality. And all to tell the most important story in life. Very well done! Nic Paton has a remarkable gift for the composition of pieces that describe spaces of universal light and the possibility of God’s presence in the journey of our everyday lives. Here he succeeds once more. It is a beautiful and moving piece of music. … profoundly moving and I do believe that [it] will add to the healing that awaits on the other side of this immense grief that we are in right now.